In the small carpeted room, three walls had ballet bars attached, and there were mirrors on two of the walls. The very friendly instructor introduced herself, and said, “You’ve done barre before, right?” My friend answered yes for me, then whispered to me that this was not a beginner class, but that I’d be fine. That was my first indication that I, in fact, was not going to be fine. The very first thing we were told to do was grab a set of dumbbells. All right! Starting off with something I was familiar with! I was surprised to see that the dumbbells only went up to six pounds. I thought, hmmm, I better grab some five-pounders, because from my two-class SoulCycle experiences, I had a notion there was going to be a lot of reps in my future. We faced the mirror for a series of fast-paced arm exercises. It was weird to see myself — there are no mirrors in CrossFit! But truthfully, I felt pretty pumped seeing my muscles working, and I had no trouble doing the thousands of bicep curls in the arm series (thank you, CrossFit!). Boom! I’m a barre master! Then we moved over to the barre. There we put a large, squishy ball between our knees. The instructor had us bring our heels together, then raise them off the floor, then do a million small squats. Holy hell! I thought my legs were strong from weighted squats, deadlifts, and sled drags, but man — I could not keep up! I had to take breaks every couple of reps while everyone else was still going strong! I cursed that frickin’ ball. We then grabbed mats and moved on to the floor. “Sweet relief,” I thought, but I was sorely wrong (ha, pun intended!). On all fours, we did a bunch of isolated booty lifts, followed by plank holds, and then core work. After two minutes of stretching, the instructor said, “Have a great day, barre-tenders!” ushering us out and welcoming the next group in. Phew! It was quite the whirlwind experience! I mean, I wasn’t bored at all, so that was a bonus! But the floor work was probably the hardest part for me, emotionally and physically. This is the moment I saw the instructor demonstrate some move — we were on all fours and she lifted her leg back to do some lifts and I saw it, and my first thought was — holy magnificent marshmallow! She had this perfectly round, plump, firm, marshmallow pom-pom of a glute. I mean this in the most loving way possible. I just couldn’t believe my eyes, but it made me realize that CrossFit and barre were like polar opposites. CrossFit is all about building strength through functional movements — picking up barbells translates to an easier time picking up your kids or carrying groceries. Box jumps make climbing stairs (or mountains) easier. Suffering through burpees not only makes you appreciate life, but they build speed and agility in case you had to get up and run away from an attacker or a bear (hey, it could happen!). Now barre? To me, it seemed like all the exercises we did were purely for aesthetic purposes. I mean when I was leaning on the barre lifting my extended leg up behind me, bending my knee so I could target a section of my glutes, which I had no idea I was engaging until the next day when I felt it aching on the airplane ride home, I knew that barre must be the reason butts are called peaches. 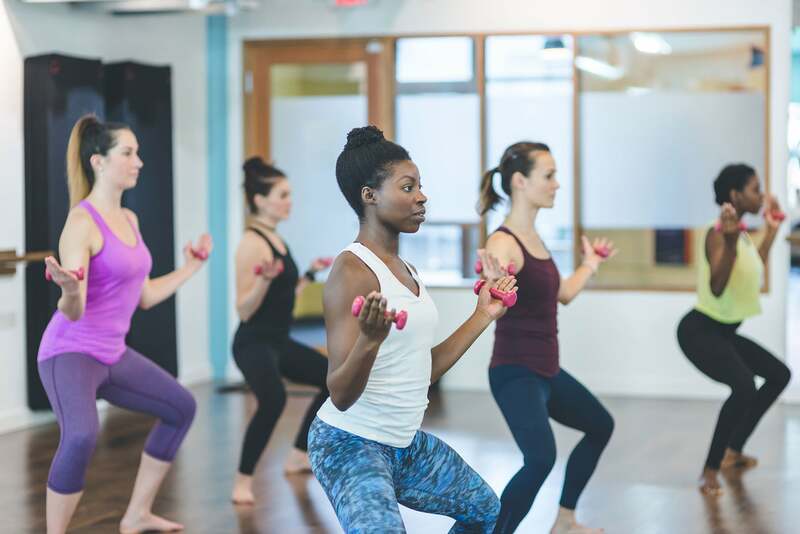 I felt like barre was all about making you look good, while not necessarily feel good, which is what CrossFit does for me. The class didn’t make me feel confident and strong the way CrossFit does; it made me feel the opposite. I definitely felt worked by the end of barre, but it wasn’t as intense or competitive as CrossFit — two things I love about that workout. There’s an element of always trying to lift more, move faster, or improve in some way, and that’s what drives me to go back again and again. CrossFit is exciting and even though the workouts push me to the point of feeling like I may puke or cry (or both), that’s what sets CrossFit apart from anything else. I just didn’t feel that same exhilaration and joy after barre. After the class I looked at my friend and thought, “I don’t know if she loves me or hates me!” I’ve been doing CrossFit for almost three years and I’m no weakling! But that barre class completely humbled me. 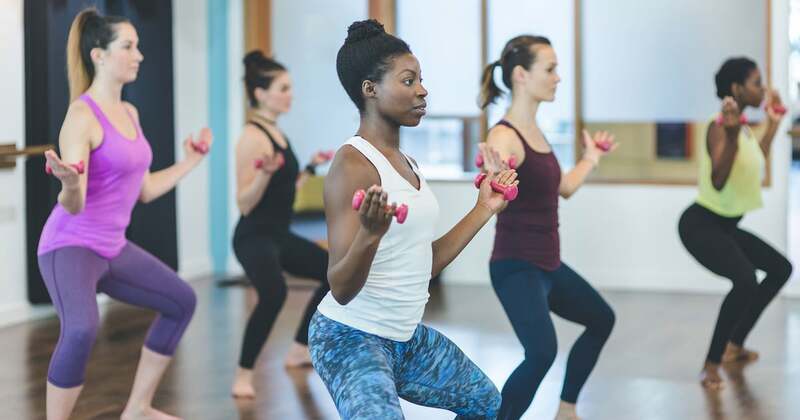 I felt uncomfortable not knowing if I was doing the exercises correctly, and my muscles were shaking — I couldn’t believe a barre class could be that hard! As a yoga instructor and an avid CrossFitter, I actually enjoyed being put in the position where I was a newbie. It made me appreciate how far I’ve come in my fitness journey and how good it is to try new things. Sweating it out, balancing on the balls of my feet, feeling my inner thighs incinerating in barre made me realize just how much I love CrossFit, and that realization made the experience worth it. 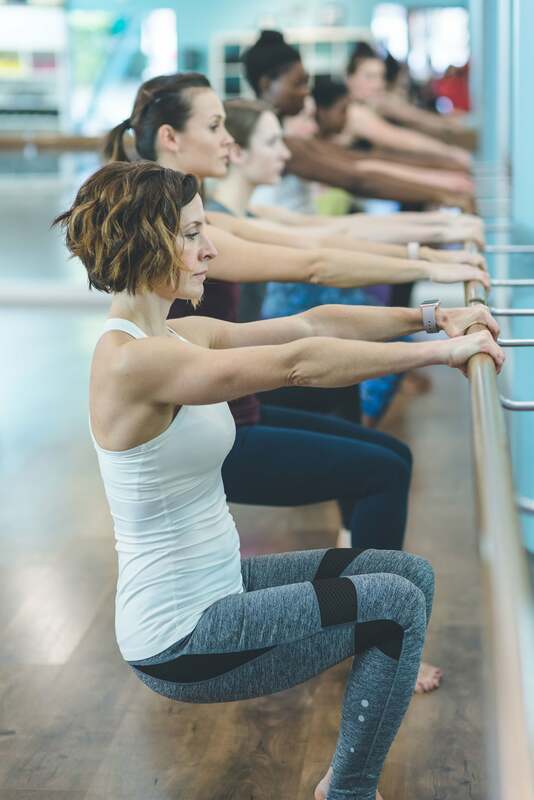 I don’t see myself seeking out a barre class on my own, but if a friend invites me to go, I definitely won’t pass up the opportunity to feel humbled again at the barre.